All moving companies in SETX are not the same. How long has the company been in business in Southeast Texas? Is it a member of the Better Business Bureau and what is its rating? Is each and every move supervised by the owner of the company? 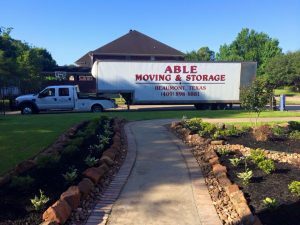 Do some research on the movers in Southeast Texas. Check with friends and family to see if they have used someone in the past and see if they were happy with the service. Be sure and ask your real estate agent and see if they have any recommendations. Talk with each company about your particular circumstances and see if they can answer all of your questions. When you do call, do you talk with the owner or are you asked to leave a message? Remember, if your moving company uses and answering service and something goes wrong on the move, will you be able to contact them about the problem?